Dry shampoos are a saviour for us lazy girls who don’t like to wash their hair every other day! Batiste Dry Shampoo is a much raved product across the world which claims to transform your hair instantly. It was launched in India not too long ago. 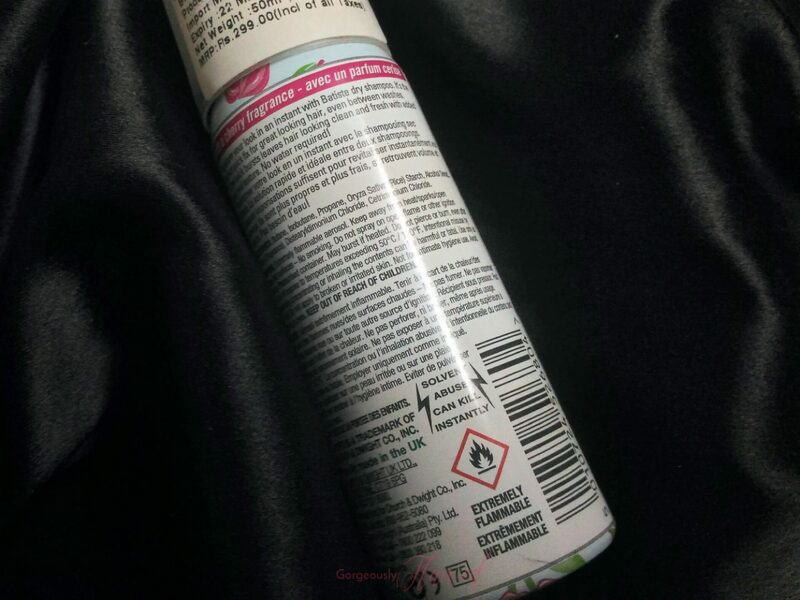 In the past, I have tried and reviewed dry shampoo by BBLUNT. Read my Batiste Dry Shampoo review below to know if I love it more than the BBLUNT one! Transform your look in an instant with Batiste dry shampoo. It’s the perfect quick fix for great looking hair, even between washes. A few quick bursts leave hair looking clean and fresh with added body and texture. No water required! Ingredients: Butane, Isobutane, Propane, Rice starch, Alcohol Denat, Fragrance, Distearyldimonium Chloride, Centrimonium Chloride. The Batiste Dry Shampoo comes in an extremely cute and girly light blue spray bottle which has small cherries and lips printed all over it. I have the smaller sized version of this product and I received it in my Fab Bag. This size is perfect for travel purposes. It can easily fit into your bag, you can carry it to your office too if your tresses tend to get oily throughout the day and require an instant refreshment by the afternoon! In the last couple of months, I have used this product A LOT. Since my exams were in second shift (11-2pm), I didn’t use to feel like washing my hair in the morning before going to college as taking a head bath and then stepping out of the home in the sun could make me sick. People say that dry shampoos are good for winters because that’s when you don’t feel like showering often. WRONG. Because they come handy during summers too! Our hair gets greasy very quickly during summers due to heat and sweat. 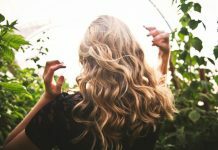 The sweat also makes the hair smell bad after a couple of days of washing them – especially if you live in a polluted area! And it’s not possible to wash them everyday because it can make them dry and brittle. That’s the situation when you can make use of a dry shampoo! Like all other dry shampoos, this one also gives your hair a white cast when you first spray it on, but it goes away once the product starts working. You have to massage it in after a couple of minutes to make the product work properly. Use your fingers or a comb to kind of “blend” the product on your hair. After soaking up all the greasiness, It will instantly make your hair appear like you have just washed it! The dry shampoo also adds a significant amount of volume to the hair. The only problem I face after using it is that it makes my scalp flaky. I have excessive dandruff and sebum plugs on my scalp, this product makes it even worse. The flaky-ness feels really irritating the day after using this product. If you don’t have dandruff, then you may not face this issue. It is good for people with oily scalp, but not for dry scalp or those with dandruff problem. I don’t remember facing any such problem with the BBLUNT Back To Life Dry Shampoo, but then, I would still prefer using Batiste one over BBLUNT one because this one has a lovely fragrance and is more efficient than the latter! One more thing, for people who have dark brown or black hair, they have Batiste Dry Shampoo Brunette which is a brown tinted dry shampoo. As this normal, non-tinted dry shampoo leaves a white cast which looks very obvious on darker coloured hair, they have launched the tinted version for those who have dark brown or black hair. It easily blends in with the natural colour of your hair. How cool, right? Comes in an adorable packaging which is travel friendly. The packaging is convenient to use. Provides a refreshment to hair in just 123! Imparts a lovely fragrance to the hair. Makes the hair look voluminous. Makes my scalp very flaky. I would recommend this product only to those people who actually need a dry shampoo in their life that provides instant refreshment to the hair and is affordable. Otherwise, there is no need of spending your money on it because it is not a replacement for regular shampooing! (The minus points are only for the scalp flaky-ness part) Go for Batiste Dry Shampoo travel size version first to see if you like it! Share your opinions about this product with me in the comments section below! Previous articleLaunching This Month | Huda Beauty Lip Strobes – In 12 Beautiful Strobing Metallic Shades! already I have very less hair ! On the face of it, it looked like a lip balm 😂 The chemicals don’t get a thumbs from me, so I’d steer clear off this one.